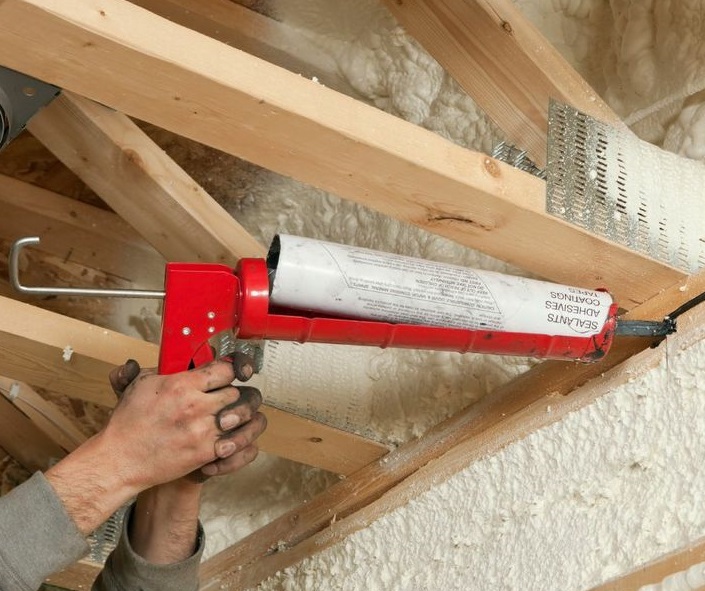 Homeowners seeking to improve the energy efficiency of their homes and lower their monthly energy costs look to insulation as a first line of defense. Insulation acts as a barrier between the living spaces of the home and the outdoor environment. Because insulation is designed to fill even the tiniest of gaps, air is less able to infiltrate the home. With so many different types of insulation on the market, many homeowners wonder if each type is safe. Although each type of insulation has a few safety risks, these are typically only during the installation period, which is why homeowners should always hire a professional insulation contractor to do any installations. Professionals have the experience and protective equipment to put in the insulation safely. Fiberglass insulation is inexpensive and easy to install. The fiberglass insulation consists of sand, ash, boron, recycled glass and acrylic polymers. It comes in both faced and un-faced depending on the application. Faced differs from unfaced only in the fact that it has a vaper barrier. During the installation process, some of the fibers can be loosened. Installers must wear masks to cover their mouth and nose and eye protection. After this insulation is installed, there is no risk of harm to you and your family. Cellulose insulation is made from recycled paper. During the installation process, fibers of cellulose and fumes from the ink used on the papers can irritate the breathing passages. Again, once the insulation has settled, there is no risk to your family’s health. In addition, cellulose insulation has the highest fire safety rating. This type of insulation is made from iron ore and rock, along with chemical binders. Sensitive individuals may experience skin irritation when installing the rock wool insulation. This irritation is unlikely to develop after the insulation is installed. Spray foam insulation is made entirely from chemical components. It consists of polyurethane, chemical binders and aerosol blowing agents. Polyurethane can cause severe irritation to the lungs if inhaled during the installation process. No one should be near the area of spray foam insulation without protective gear. And, upon completion of the project, residents will need to stay out of the house for 24 hours on retrofit and 12 hours on new construction. Once this time period is over, there is not any harm to you and your family.In addition, all spray foam is required to be covered by ignition barrier, which is a nontoxic coating that reduces heat transfer and surface burning in the even of a fire, or a thermal barrier, which is used to delay the temperature rise of the foam or to prevent the foam’s involvement in a fire. These factors enhance the safety of insulation. To learn more about the safety of insulation or about the best type of insulation for your home, contact USI online to request a free quote. USI believes that excellence in every step of the process ensures timely completion and quality service, time after time.